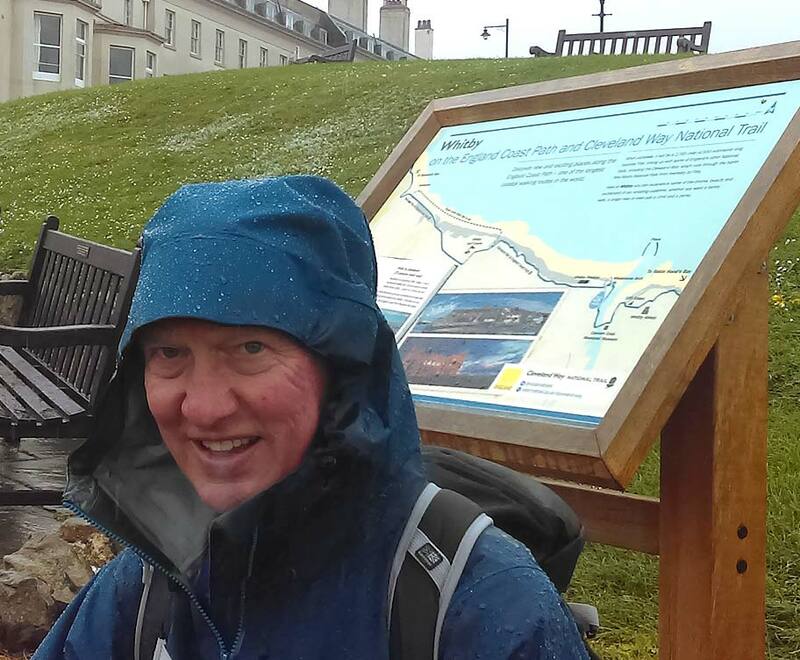 Our intrepid leader, Brian, has been researching the walk and it’s various stages before Bluebells wheels start to roll on 5th March 2018 – We’ve caught up with him at Whitby, North Yorkshire where he’s been caught in a downpour! If there’s one thing we can all rely on it’s the fickle British Summer weather! Not put off at all, Brian walked to Staithes and onward taking notes of where Bluebell can rest and where the team can meet-up with local residents, schools, hospitals and visitors.